CARP North York Travel Show – Save the Date! CARP North York Travel Show Tuesday, April 21, 2015 will be presented by Cruise Holidays | Luxury Travel Boutique at the Columbus Centre, 901 Lawrence Ave W, Toronto, ON, at the corner of Lawrence and Dufferin. 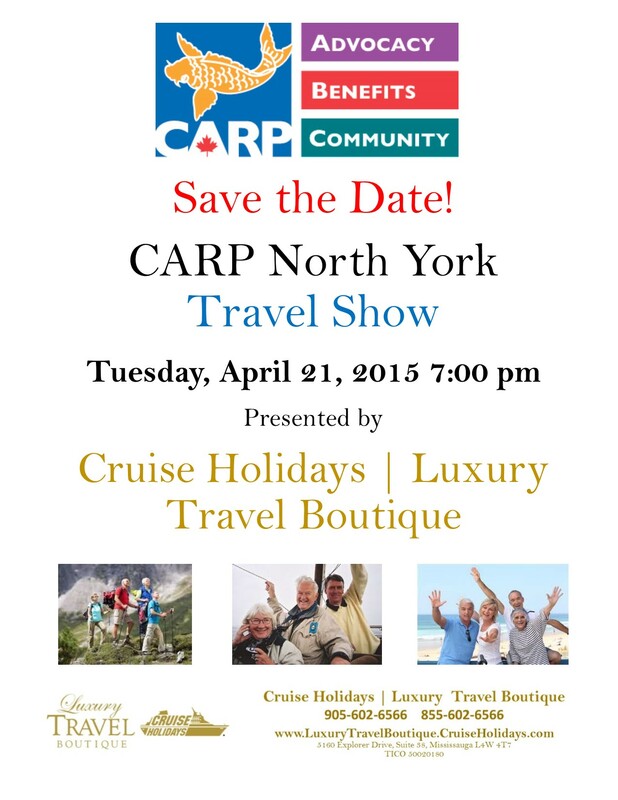 The CARP North York Travel Show will be free to North York CARP members and their guests. More details to come! Cruise Holidays | Luxury Travel Boutique owners, Peter Wong and Lola Stoker, are organizing the CARP North York Travel Show for CARP members and will invite a number of travel suppliers to give short presentations about travel and cruise destinations. These experts will bring flyers, brochures and door prizes for CARP members and their guests and will be available to talk to CARP Members after the presentations. Cruise Holidays | Luxury Travel Boutique will be available to advise and book any vacations or cruises for CARP members and their guests either at the show or anytime afterwards. Cruise Holidays | Luxury Travel Boutique is a cruise travel agency based in the Toronto, Etobicoke, Mississauga, Brampton Ontario region and serves clients anywhere in Canada and the USA. We can be contacted by phone – 905-602-6566 or toll free at 855-602-6566, by email at [email protected] Our offices are near Eglinton and Rathburn, just north of Centennial Park at the corner of Matheson and Explorer Drive. 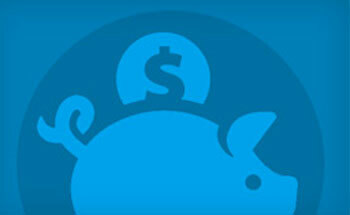 Our address is 5160 Explorer Drive, Suite 38, Mississauga, Ontario, L4W 4T7. You can also follow us on Facebook, LinkedIn, Twitter and Google+.